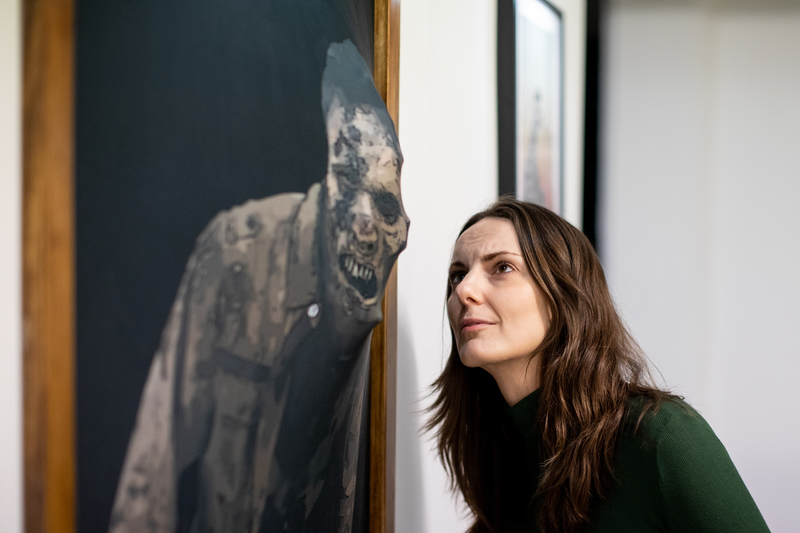 FREE FOR EDITORIAL REPRODUCTION Preview of the Official The Walking Dead immersive art gallery Exhibits include interactive set recreations and prop replicas, terrifying immersive moments and prize-winning fan art Open to public on February 8th and 9th in Old Truman Brewery, Brick Lane.. The Walking Dead: Art Apocalypse opened its doors to fans, art lovers and zombies today, as actors in gory prosthetics swarmed the entrance of the unique new art exhibition despite the familiar warning DON’T OPEN: DEAD INSIDE. For two days only it is giving fans the chance to immerse themselves in interactive sets and prop replicas, prize-winning fan art, thrilling audio-visual displays and live installations not for the faint of heart.